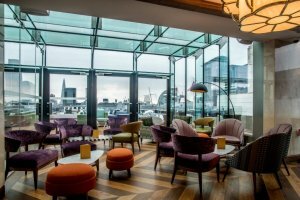 You’ll then be treated by the ETM team to a mini cocktail masterclass or craft beer tasting ( Hurry… limited places available).Next you’ll have the opportunity to attend a variety of 10 – 15 minute sessions to learn about a number of exciting topics. Once these talks conclude we’ve arranged for entertainment on the beautiful roof terrace. 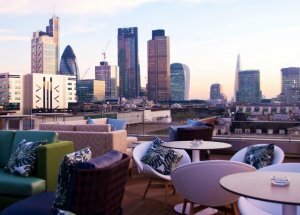 Our team have picked some our best suppliers to showcase their skills, while you enjoy drinks, canapés and the stunning view. We’ve got a range of fantastic prizes to be won, from gift vouchers to a romantic dinner for two at a top London restaurant. For your chance to win all you have to do is give The Collection an event brief for 2019 with a budget of over £3,000. Places are limited to a maximum of 2 guests per business. 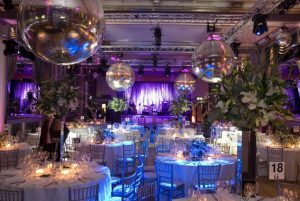 Join The Collection team for an evening of bubbles, delicious food and amazing entertainment at the home of The London Cabaret Club, the Bloomsbury Ballroom. 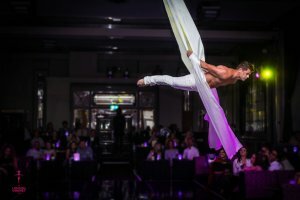 Enjoy a champagne reception before taking your seats for dinner and sit back for some fabulous dancers. Don’t forget your own dancing shoes if you wish to stay for the after show party in the Rose Room! Keep an eye on this page for more information on our up-coming events, trust us… You won’t want to miss them!